Australia has almost everything that one requires to raise a family–from high standard of living to strong economy, excellent education system to world class healthcare facilities–the country is completely independent and self sufficient. Its PR Visa is desired by large number of immigrants. It provides them with an easy opportunity to live and work in the nation indefinitely, and once you have lived and worked in Oz for at least three years, you may apply for its citizenship as well. Australia’s immigration system is one of the most developed and transparent in the world and widely appreciated by many other countries. Oz is proud of its point based immigration system introduced by the Department of Immigration and Border Protection (DIBP). The majority of the skilled workers is selected through the point based system only, and is granted the right to live and work in Oz indefinitely. The process to apply for the country’s PR is a mix of both online and offline stages but let’s first explore its key requirements! Arrange Documents Neatly–It is important to properly arrange key documents neatly, apart from routine documents applicants are required to submit their work experience and education credentials. Besides, you will be required to submit a report of your skill assessment and score of English Language test such as the IELTS. Choose the right visa category–It is crucial to choose the right visa category on the basis of your education, experience and skills, or else your chances of acquiring the PR Visa are less. Chose an occupation from the Skilled Occupation List (SOL)–Once you are sure of the visa category, you need to select an occupation from the SOL. The list is maintained by the DIBP on the basis of the shortage of skilled workers and is updated from time to time. Apply using the point based system–Once you have followed the above three steps you have to apply using the point based system using the SkillSelect tool. You need to create an Expression of Interest (EOI). On the basis of your EoI, you will be awarded points to qualify. Your overall score must not be below than 60 sixty. But, higher score is an added advantage. Health and Character certificate–It is important to submit health and character certificate. In order to qualify, you need to be physically fit and should not have a criminal background. Australia PR requirements are firm and are not subject to constant changes. To successfully qualify, it is essential to meet its various parameters. What are the benefits of PR visa? Right to live and work in the country indefinitely. Travel abroad any number of time during the initial five years tenure. Access to subsidized healthcare facilities and legal assistance. Children born in the country are considered as Australian Citizens. 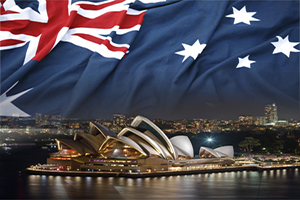 For more information on the Australia PR Visa Requirements please contact me at mustaqali@abhinav.com.